"We're going to need a bigger truck." Few franchises do it bigger, louder, or more preposterous than the Fast & Furious series. The eight film, The Fate of the Furious, took over Times Square in New York City for the release of the first official trailer. That's right, they closed down Times Square for a trailer premiere. It did not disappoint either. Full of big stunts, fast cars, and brawls, the latest installment doesn't look to be slowing down. It even offers some new twists as Charlize Theron is the main villain, Cipher, and somehow turns Dom (Vin Diesel) against his F&F family. Dwayne Johnson, Michelle Rodriguez, Ludacris, Tyrese Gibson, are all back for another globe-trotting adventure with F. Gary Gray directing. 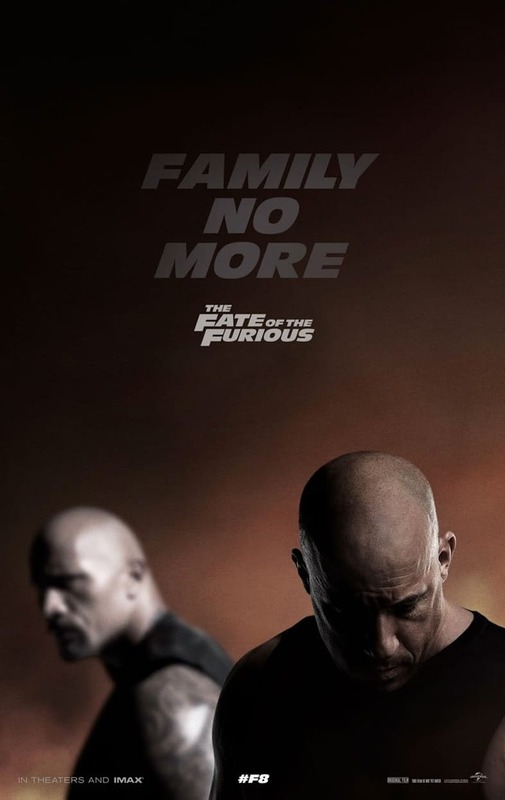 The Fate of the Furious aka #F8 hits theaters April 14.